The Flying Flea series of airplanes was designed by Henri Mignet, a French designer/builder, in 1934 and was one of the first home-built airplanes. In retrospect, his earlier designs were not deemed as safe as the later designs. Problems ranged from perceived balance problems to poor build quality. 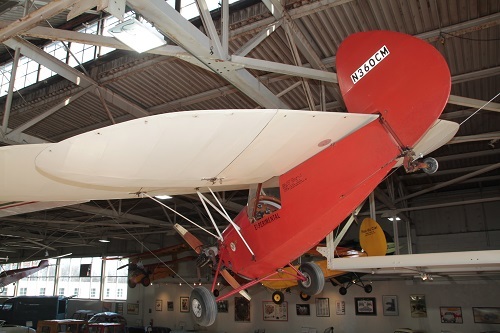 Evolution of the design led to the Fleas having a very good safety record, with many of the planes still flying and being built today. The Flying Flea was designed to be built in one's garage with simple tools, making it very simple to construct. The controls are also unique in that there is a rudder, but no ailerons. Mignet claimed that anyone who could drive a car could fly it! 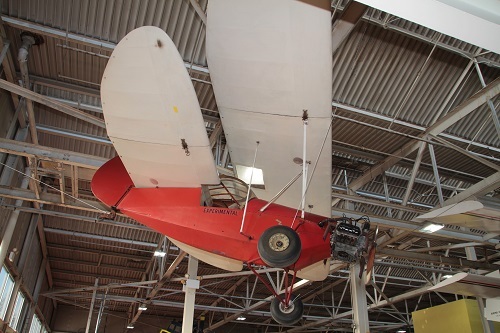 This particular plane is a single-seater with an enclosed cockpit. The following model, the HM.380, differed by having a side-by-side cockpit. 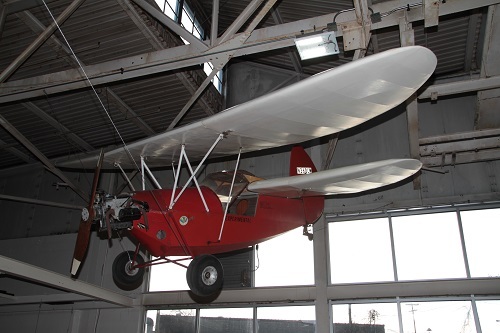 This plane was built by Jack McWhorter of Eustis, Florida, and is powered by a 1653cc Volkswagen engine. Also note the folding wings, allowing storage of the HM.360 in one's garage. 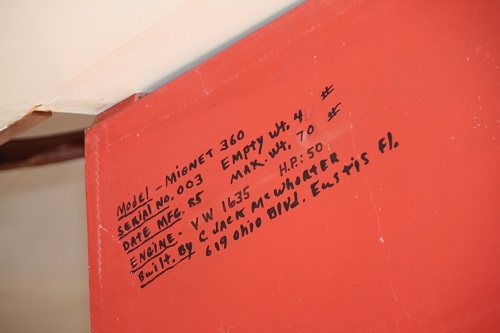 Empty Weight: Design – 390 lbs. Gross Takeoff Weight: 700 lbs.